European veterinarians have become more open to complementary therapies such as osteopathy, kinesiotherapy and acupuncture to treat back pain in horses over the past 10 years, the findings of research suggest. They are also more likely to use local corticosteroid injections to treat back pain than they were a decade ago, while a fall-off in the use of non-steroidal anti-inflammatory drugs was noted. The research involved two different surveys of European vets conducted 10 years apart, in 2006 and 2016. 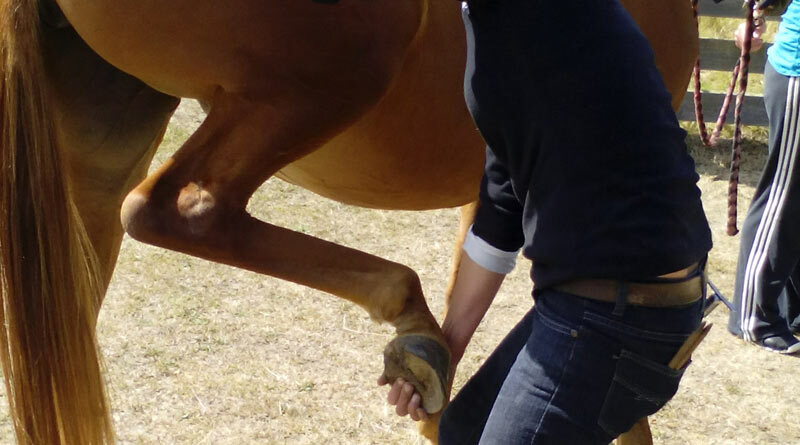 Italian veterinarian Barbara Riccio and her colleagues, writing in Frontiers in Veterinary Science, noted that a tailored diagnostic workflow and a consolidated therapeutic approach to back pain are lacking in equine medicine, despite it being a common cause of poor performance in sport horses. The study team set out to assess the evolution in the approach of veterinarians to diagnosing and treating back pain in horses, comparing the findings of the two surveys. There were 47 respondents in 2006 to the 10-question survey and 168 respondents in 2016 to the 16-question survey. Responses were received from vets across eight European countries. The surveys were available in English, French and Italian. The authors found that the main reasons for examining horses with back-pain were poor performance (76%), behavioral issues (68%), and lameness (50%). When assessing back pain, 97% of vets applied careful pressure with their fingers over the paravertebral muscles and 90% of them used their fingers for back mobilization. The study team found that 69% of the vets made an effort to detect areas of localized heat. The use of diagnostic analgesia to confirm the source of pain was rarely employed. Radiography and ultrasonography were the most frequent diagnostic imaging methods used in both surveys. Corticosteroid injections were used for local treatments by 80% of respondents in 2006 and 92% in 2016. Recently, ultrasonography has been extensively used during the injections of the vertebral articular facets and sacroiliac joints region, they noted. The use of complementary therapies was restricted to a low percentage of respondents in the first survey (20%), but it was found to have increased over the decade. In 2016, a wider percentage of respondents considered osteopathy (40%), kinesiotherapy (29%), and acupuncture (22%) when treating back disorders, compared to 2006. In 2006, 42% of the interviewed veterinarians said they performed 50–100 musculoskeletal investigations per month. In 2016, the average number of horses examined for orthopedic problems per month was reduced. In fact, only 5% of respondents perform more than 50 investigations and 40% of respondents examined fewer than 20 horses per month for such issues. In both studies, back problems were recognized in a minority of the orthopaedic cases, ranging from 0 to 20%. In 2006, survey respondents had a favorable perception of intramuscular and intravenous drugs administration (according to 55% of respondents). In contrast, in the 2016 survey the systemic administration of drugs was employed routinely in only 2% of cases. In both surveys, corticosteroids were found to be the drugs more commonly used among respondents for local treatment, followed by distillate of Sarracenia Purpurin, while anti-inflammatory non-steroid drugs (NSAIDs) were the commonest drugs given by the general route. “Respondents confirmed that local injection of corticosteroids was their first therapeutic choice treating back-pain, with a predilection for dexamethasone,” the study team reported. NSAIDs were used less frequently in 2016 than in 2006. Interestingly, the perceived therapeutic effectiveness of corticosteroids, NSAIDs and bisphosphonates administered via general route was rated as poor to moderate by a considerable number of respondents. The percentage of respondents considering osteopathy as an “excellent” technique for treating back disorders increased from 0% in 2006 to 40% in 2016. Kinesiotherapy was considered “good’ or “excellent” by a high proportion of responders (39%) as well. “Equine practitioners are conscious of the limitations related to the clinical tests and imaging techniques available for detecting back disorders,” the researchers said. “Achieving the correct diagnosis is still challenging, because of the restricted accessibility of this area and the variability of the pain manifestations. A multi-facted approach is often required to manage this condition, they added. “In the absence of an objective method to assess pain in practice and consolidated protocols to treat back-pain problems, this study could be considered just as a starting point. The full study team comprised Barbara Riccio, Claudia Fraschetto, Justine Villanueva, Federica Cantatore and Andrea Bertuglia. Barbara Riccio, Claudia Fraschetto, Justine Villanueva, Federica Cantatore and Andrea Bertuglia.